Recently introduced to the US, Canton – Indochine Originale, is a modern interpretation ginger-infused elixirs created in French Indochina during the 19th century. 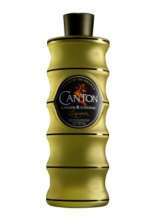 Canton is a super-premium ginger liqueur, handcrafted from an infusion of cognac with rare baby ginger, ginseng, vanilla beans, and a touch of honey. The bottle, made to resemble a bamboo stalk, is one of the more creative we’ve seen. The nose is unmistakably ginger. It does overpower, but I love it. The taste is a sweet at first, followed with the sharp, spicy bite of ginger. It warms on the way down. We made it in a martini, which was delightful. We used 2 parts vodka and 1 part Canton. Just the right amount of spice to liven up the classic. We also tried this great cocktail sent in by one of our readers, Heather. 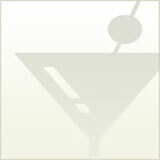 The Strawberry Ginger Martini combines gin, Canton, lime juice and fresh strawberries. Truly amazing. We agree with Dale, Canton is a great addition to any bar. Canton retails for $29 and is available in New York and LA. More on Canton Liqueur (we couldn’t find a website).